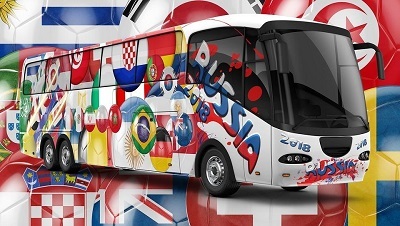 Spurs Odyssey - 5 Spurs players make it to England’s World Cup 2018 squad! 5 Spurs players make it to England’s World Cup 2018 squad! Harry Kane, Kieran Trippier, Danny Rose, Eric Dier and Dele Alli have all been named in England’s 23 man squad for the upcoming FIFA World Cup Tournament, which kicks-off in Moscow on June 14. England’s World Cup campaign will start on Monday, June 18, in their Group G game against Tunisia. England arranged two suitable warm-up friendlies at home. 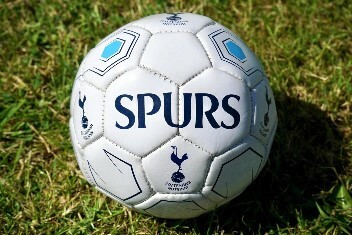 The first game was played against Nigeria on last Saturday (at Wembley Stadium) and featured all five Spurs players. The second game is being played against Costa Rica this Thursday June 7 at Leeds’ Elland Road stadium, when Gareth Southgate is likely to ensure that all remaining members of his squad get a run out. A great multitude of punters are also backing England’s chances of making it past the group stages this time, and having a good tournament overall. If you too wish to bet on England’s World Cup chances, make sure you place your bets only with a reputed website like the Paddy Power football betting portal. Sports betting is all about smart, responsible bets based on carefully thought out strategies and knowledge of the game itself so you don't want to go through all that to have your heard-earned cash vanish with disreputable bookies and untrustworthy websites. Right back Kieran Trippier will take part in first major international tournament of his career, while the other 4 Spurs players have Euro 2016 experience under their belts. Dele Alli made his debut for the country back in October 2015 when England scored a 2-0 win over Estonia. He has scored a total of 2 goals in his 24 appearances for the national side. Eric Dier on the other hand has scored 3 goals during his 26 games for the England team. Danny Rose, the talented left back player had an instrumental role in England’s 3-2 win over Germany in March 2016. He has won 17 caps in total. Lastly, Harry Kane had a memorable debut for the England side finding the back of the net within 79 seconds of taking the field! He played a key role in England’s 4-0 win over Lithuania in March 2015. Harry has scored a total of 13 goals in his 24 appearances for England. What is more, Harry Kane will also be the captain of the English side going into the World Cup. The announcement of the England Captain was made recently via a Twitter message by Southgate. He highlighted Harry Kane’s exceptional leadership qualities. Wayne Rooney was the last full-time captain of England and many players have worn the armband ever since the star forward lost his place in the national side, including of course another Spurs player - Eric Dier. While Gareth Southgate has often played down the importance of captain, encouraging a collective leadership in the team, Harry Kane will be the team’s captain going into the prestigious event. Southgate has thought long and hard about his choice. The early signs are that there is a great team spirit in the England camp, with Harry to the fore. Kane had an impressive Premier league season, scoring 30 league goals (41 in all club games) for Spurs, helping them finish in top 4. Here’s how Spurs' Champions League place was finally secured. Good luck to Harry and his fellow English Spurs players, plus the other seven Spurs players who have been selected for their respective countries' World Cup squads. They are Hugo Lloris, Toby Alderweireld, Jan Vertonghen, Davinson Sanchez, Mousa Dembele, Christian Eriksen and Son Heung-min.